For many years, the case has been made that the largest predator of the oceans, killer whales (orcas), should be free from the exploitation of a multi-billion dollar marine mammal entertainment industry which has been permitted to operate under the guise of education and conservation. These intelligent, highly social, amazing beings deserve their freedom, however the popular perception portrayed by theme parks have our government officials and the public thinking otherwise. But the tide is changing and the truth about orca captivity is finally catching-on in public perception and with the media. Unlike the mis-education perpetuated by the highly profitable aquaria, studies have shown the life expectancies of killer whales in captivity are well below those of their wild counterparts. Despite industry claims of advancements in veterinary care, nutrition and husbandry techniques, killer whales fare much better in the wild… even with the man-made decimation of their habitats. The true focus has since evolved toward education and conservation in the protection orca environments instead of continuing to allow the exploitation of these individuals for lucrative entertainment corporations. 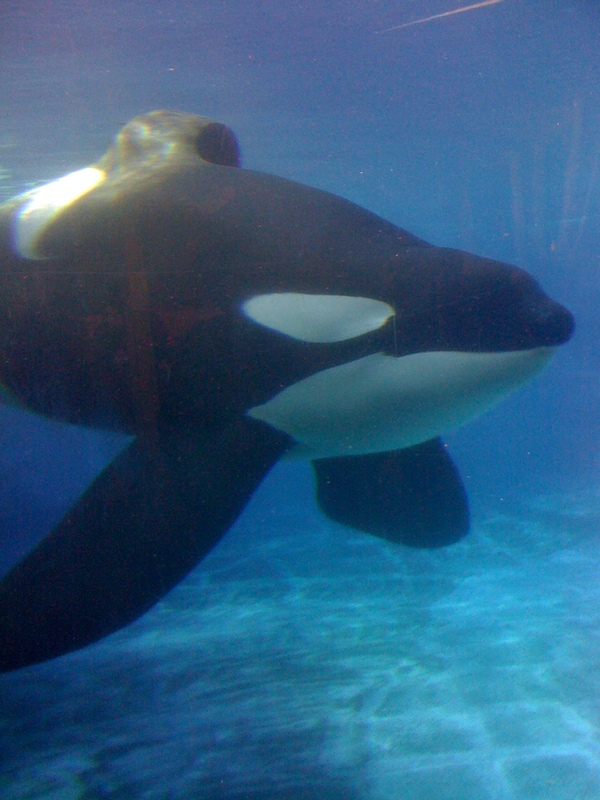 In January, 2011 The Orca Project introduced a paper co-authored by two former SeaWorld trainers, Dr. John Jett and Dr. Jeffrey Ventre titled “Keto and Tilikum Express the Stress of Orca Captivity”. This report dove into many of the detrimental effects of orca captivity and their decrease in life expectancy through new calculations of the Mean Duration of Captivity. Building on several decades of studies, including a 1995 peer-reviewed paper on the survivorship rates of several captive marine mammal species, the Jett/Ventre report, and now Dr. Rose’s study, the case has been laid-out to show that not only has captive survival rates not improved but they have actually worsened. Utilizing these reports as well as industry and government documents, the causes of decline in longevity are multi-fold… just as we have presented here at The Orca Project. The stressors associated with captivity are clearly depicted in the Jett/Ventre report as well as our report on orca dental health. 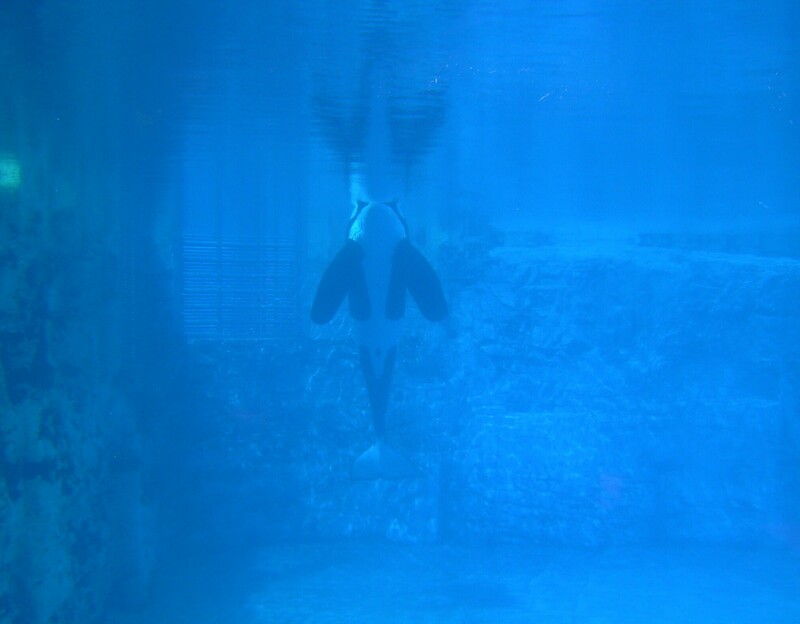 The death of Dawn Brancheau in February, 2010 has also brought the dangers of orca confinement and display to the forefront. It also highlighted the unjust solitary confinement that Tilikum endured for nearly 1 year after killing Dawn, a punishment that did not fit the crime of serving a life of captivity against his will. With dozens of previous incidents between killer whales and trainers leading to injury or death, including the death of trainer Alexis Martinez by a SeaWorld orca in the Canary Islands just 8 weeks prior to the attack in Orlando, Florida, the evidence is clear that orcas do not belong in captivity. Previous analyses using data through 1992 showed that captive orcas have higher mortality rates than wild orcas; new analyses examining data through 2010 confirm that the situation has not improved in the past 18 years, and in fact has worsened. Captivity is, in essence, poor habitat for orcas, causing early death. Captive female orcas give birth too young and too often, leading to both high adult and high infant mortality. The most common cause of death for captive orcas is infection. Chronic stress may be an important factor in weakening the animals’ immune response. Captive orcas have poor dental health compared to wild whales, which may be another factor in their susceptibility to fatal infections. Orcas in captivity are more aggressive toward each other than in the wild. Females also behave abnormally toward their calves more often than in the wild. Since captive orcas have been publicly displayed, they have seriously threatened the lives and safety of dozens of people, and four people have been killed. However, wild orcas have injured only a handful of people — none seriously — and there are no records, at any time in history, of them killing anyone. Update- 2013: Naomi A. Rose, Ph.D. now continues her amazing work as a marine mammal scientist for the Animal Welfare Institute and is part of a team working with Merlin Entertainments Group to create the first sanctuary for captive bottlenose dolphins. She has been advocating for the welfare of captive whales and dolphins for more than 20 years. On October 24, 2013 CNN published her Op-Ed titled “A win-win solution for captive orcas and marine theme parks”. Since its inception in 2010, The Orca Project has collaborated with some of the world’s top marine mammal experts, caring professionals and individuals from diverse backgrounds. The amazing alliance and friendships born from this endeavor will continue to expand on the groundwork laid out by those before us. We will continue to develop on their work to educate the public and our government oversight agencies about the detrimental effects of keeping killer whales in captivity. We encourage former and present trainers, marine mammal park employees (in the U.S. and abroad), scientists, authors, individuals and the media to contact us at info@theorcaproject.com to continue this important work. Confidentiality is assured if you wish to remain anonymous. It would be interesting to subject the people involved in capturing and enslaving these wonderful beings to equivalent life experiences for a couple of years. This would quickly change attitudes to Showbusiness at the expence of beautiful innocent cohabitants of our planet earth home. Let the penalty fit the crime. Watching these beautiful creatures in captivity just brought me into tears… I was watching so many videos about orcas and also dolphins and I just cannot stand at the human cruelty! How can you do that, human being? You, that it’s claimed to be the most intelligent creature in the world! You’re the most dangerous, instead! Do you think it’s normal to wild creature to be in a tank and to be the main character of a show that just dumbs can enjoy?? aren’t you suppose to know what’s good and bad for the others creatures? I don’t understand what’s wrong with people… first the trainers that seem to enjoy to teach those silly movements to orcas and dolphins… and second of all every single person that ENJOY watching them! what do you think are you teaching to your children? that it’s fair to capture wild creatures just for entertainment?? I hope I will be a better parent and I wanna teach my children to be respectful of any creature and to understand that wild animals belong to their habitat. Maybe they won’t never see an orca in real life but just in documentaries… But I think that it’s so amazing anyways because nature is also beautiful because it’s mysterious. Ila I completely agree with you. I really can’t understand it. And it is still going on. It’s just terrible! Reblogged this on Things & Chiz. 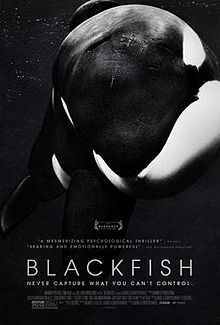 I have to add, when I see people who sincerely care about these creatures, who try to everything they can so the Orca are treated better, and have the education to back it up, some even with a doctorate in various sciences, then I am willing to take their word as to how old these creatures are. Not to mention the fact that they usually make sense and are logical anyway! So no, I’m not going to read an entire several page thesis on how to tell the age of an animal. I have no problem with their word, especially when there are several scientists speaking in unison! In conclusion, two thumbs up on Dr. Naomi Rose’s article, and I wish I had paid more attention to the inhumane treatment these poor sea creatures receive at the hands of these theme parks who merely exploit them for money. I would NEVER take my children to these sea parks, illusioning them with the idea that the normal way of life for these wonderful mammals is cooped up in small tanks with collapsed dorsal fins. Even worse, paying the corporations who perpetrate the crimes on the Orca. I will always be on the side of the Orca, and when I see/read anyone defending the perpetrators who exploit, mistreat and kill them, I will certainly be a voice for the whale! It is ethically wrong, no matter what the data says to keep a highly intelligent, social, majestic creature anywhere other than in its natural habitat! I want to commend everyone out there involved in the crusade to free all captive cetaceans! Robert did you read the report by Naomi Rose yet? if not, please do so and then return with your questions. Firstly, I’m not sure exactly what you mean by ‘objective’ when it comes to wild statistics. In fact, I’ve never really gotten it when people have made that argument in reference to scientists studying wild animals. The vast majority of highly respected scientists who specialise in cetaceans are strongly against captivity. WDCS is a specific whale and dolphin charity that would have nothing to gain, and a lot to lose, including potential funding/support, by being anti-captivity, and you can say the same for the scientists. Potentially they could get a lot of money from Seaworld (who are always keen to show their ‘commitment to the environment’) if they were to support them, but they don’t. Anti-captivity people are not crazy ‘all pets are slaves’ activists – they are, in the main, people who have carefully studied the data available, including intelligence, lifespan, the inability to imitate freedom/a natural environment for these animals, under-stimulation, the comparatively tiny size of the tanks versus their natural range, false social groupings, increased instances of aggression, females having calves at less than half the age they do in the wild, and then rejecting them… the list goes on. I get that you’re skeptical, given that with that kind of data the answer of ‘is captivity a good environment to keep orcas’ is strikingly obvious, but the industry has become very good at obfuscating the true facts. If you simply google ‘wild orca populations’ ‘Southern Residents’ ‘Northern Residents’, etc, you should have your answer. Or, of course, you could click through the links on Naomi’s report – she may not be ‘objective’ in the way you see it, but you cannot deny that the majority of her sources are, since they are, in the main, scientific studies purely focussed on wild populations. And finally – no, no one (to my knowledge) has followed an orca for one hundred years. However, orcas have been followed for, as far as I know, around fifty, and in that time gauging the orca’s ages has become pretty specific. They know each individual, and age can be calculated pretty precisely – for example, the fact that females have a calf around once every five years from the age of around 15 – therefore, a female with four known calves travelling with her when the study began, would have been 35 or so, and if she is still alive now would be around 85. I also happen to know that the orca researchers frequently collect DNA and other physical evidence that can tell them these things. The age orcas can reach in favourable conditions is not in any dispute in the scientific community – only in the captivity industry do they claim that it is an unknown. Finally – a healthy amount of skepticism is important, since human beings have a knack for getting passionate, and that passion can be misdirected. However, if you go off, do your research and look at the bare facts, you’ll see the truth. An orca can use its echolocation to ‘see’ for ten miles underwater, which means that even if their tanks were ten miles wide, they’d still know they were trapped. Even dogs get to go for a daily walk. If you kept a dog in a small, bare, concrete room, where you throw in a few toys, show up now and then to demand tricks for treats, force it to be with other dogs it fights with, pump ridiculously loud music and shouting into the room and never *ever* let it out, never let it get to spend time outside, using that nose that is its primary sense, you’d be seen as cruel. Don’t you think orcas, with all their extra intelligence and needs, deserve better? I totally agree with you. The treatiment of orcas in captivity seems even more cruel due to their social natures and higheer intelligence (than dogs). ….how much more science do you need Robert? or are the seaworld trainers/vets all the science you want while you disregard others? let me guess, you don’t believe in climate change either? Robert – here is some scientific information for you. Try google, you’d be amazed at what you could learn. Orcas in the pacific mid-west have been officially studied since the 1970’s. During that time and since, the life span of wild orcas have been studied as well as birthing, maturity, etc.